Kids Craft Activity: Make Your Own Maraca! This week at TLB Music, our Smock Rock art students are creating handmade maracas while listening to Cuban music! 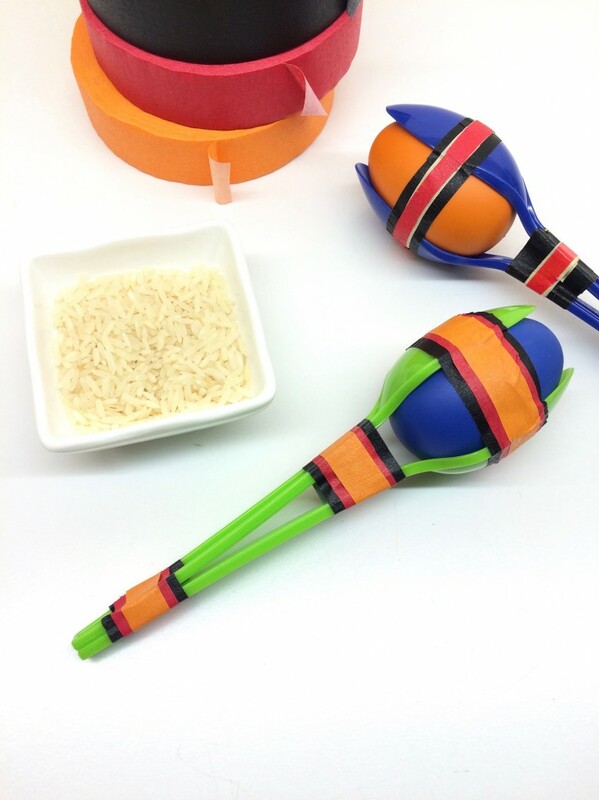 These maracas are easy for little hands to make, help students practice fine motor skills and they sound great to play! 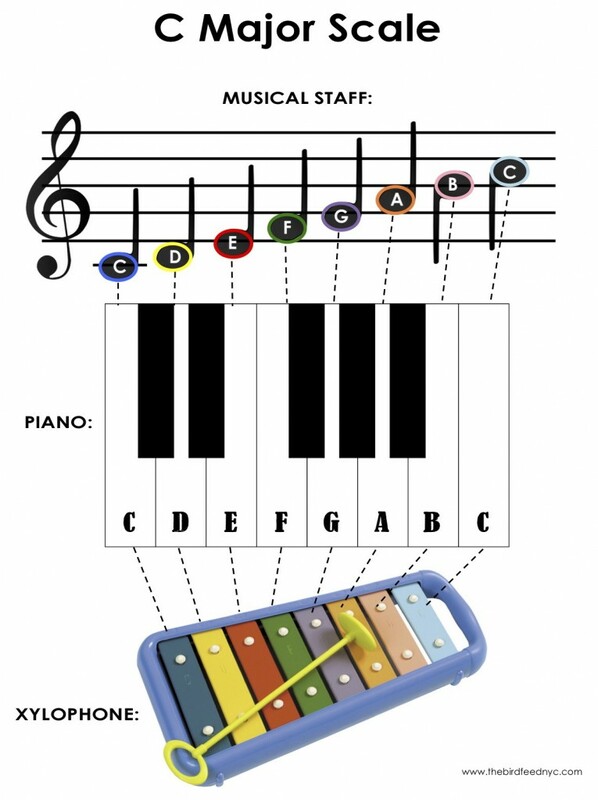 This activity sheet is perfect for learning the C major scale on the piano or xylophone! At TLB Music, we teach young children how to play a scale on the xylophone using a simple song like “Doe a Deer”. I highly recommend this toddler-friendly xylophone by Hohner. It is fantastic because you can first use the colors as your guide (a color-coded song book is included) and as the children get older, they can begin to read the notes marked on the bars. After mastering the scale on the xylophone, our students graduate to playing it on their own keyboards! 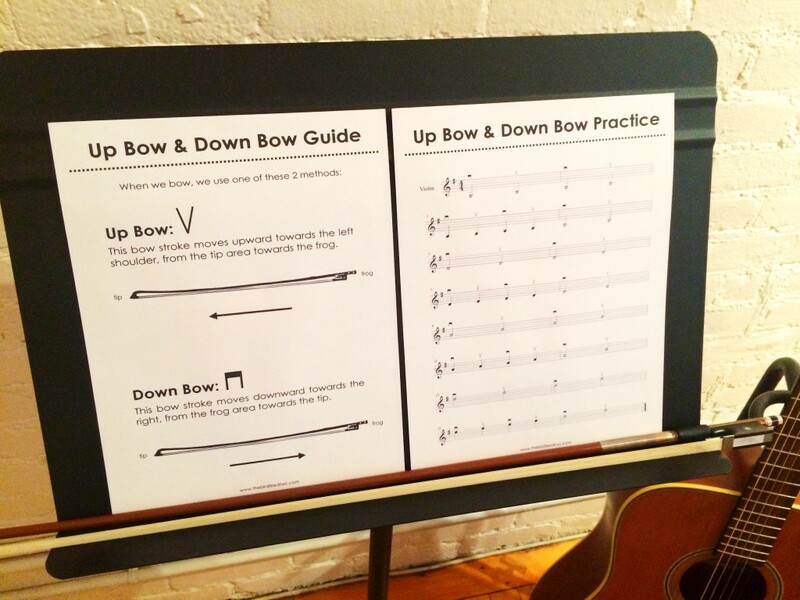 To learn the parts of the violin and bow, use this activity sheet! Musical spelling activities are the perfect way to make practicing note identification fun. This sheet is more challenging than my first musical spelling activity sheet so make sure to complete that one before trying Level 2! Click here to enlarge, save, and print image! 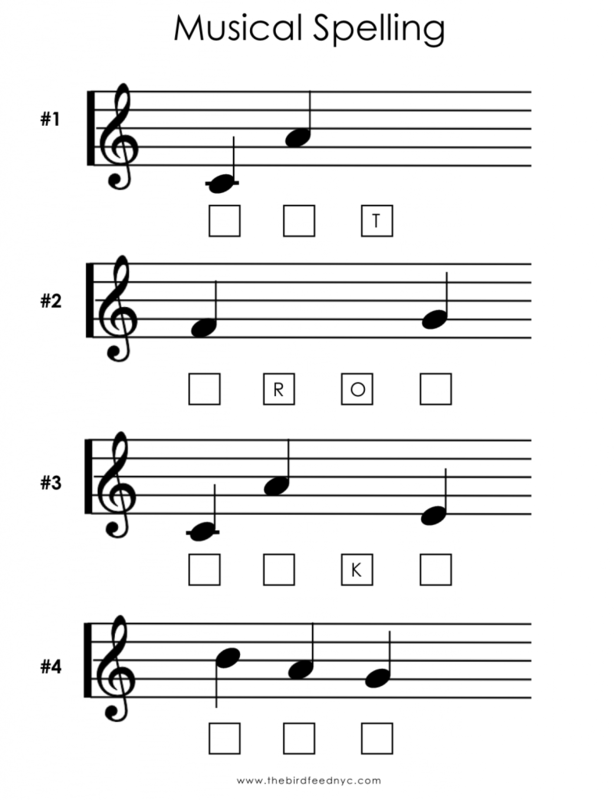 Warm up with this C Major Scale Activity for Kids. For beginners, print the scale as a guide. I used to love the musical spelling activities my piano teacher Mrs. Weedon would assign me so I decided to start making some for The Bird Feed. Here is the first! Click here to enlarge, save and print image! 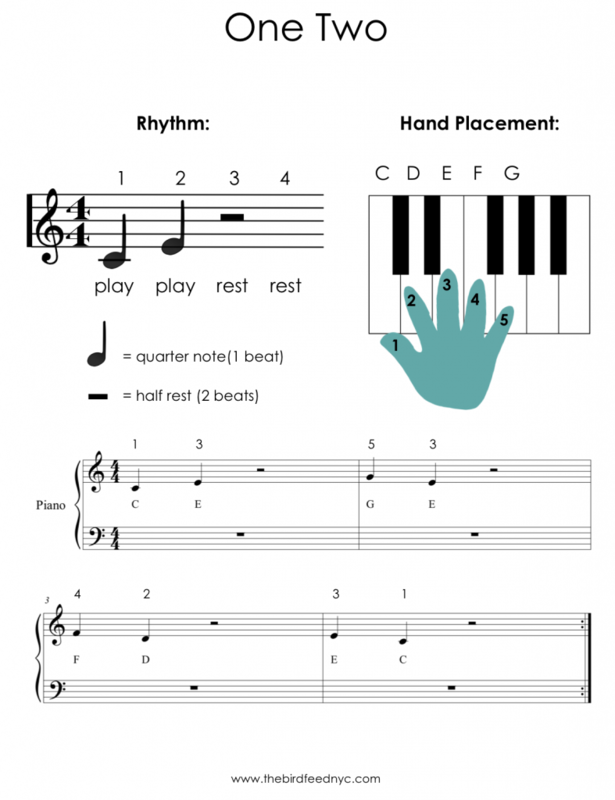 For beginners, warm up with this C Major Scale Activity for Kids. Ready for more of a challenge? Try Musical Spelling-Level 2! I created this listening activity for our kids classes at TLB Music. 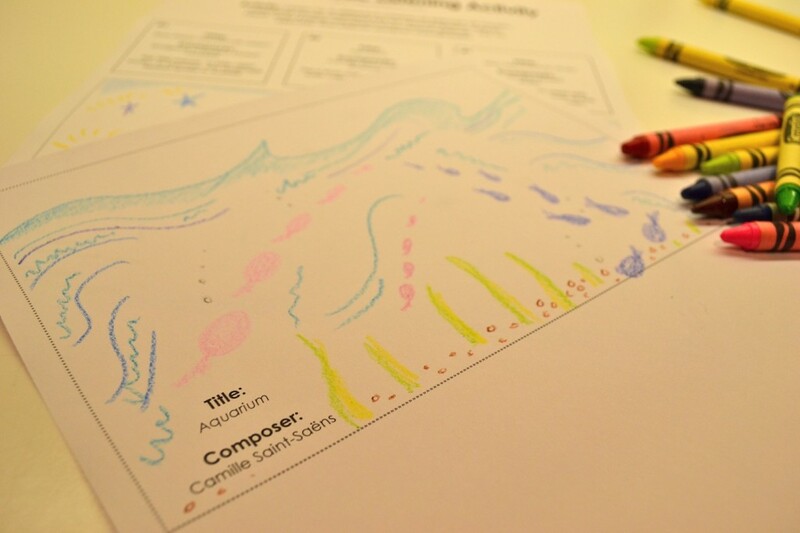 The idea is to have children listen to three classical pieces of music, creating music-inspired art along with them, trying to capture the feel of each piece. We use crayons in class, but you can use a pencil, colored pens, markers, or whatever you’d like! The only information you need to give them before listening is the name of the piece, the composer and his country of origin, and the small talking points listed. When they’re done listening and completing their art, kids can cut out their three drawings to play the game. 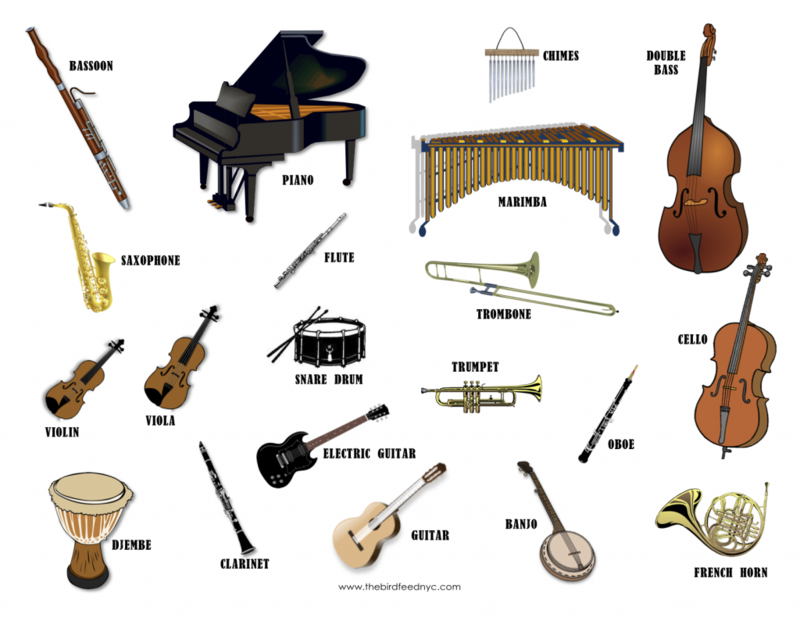 See if they can recall what each piece sounds like when you play shorts excerpts for them! 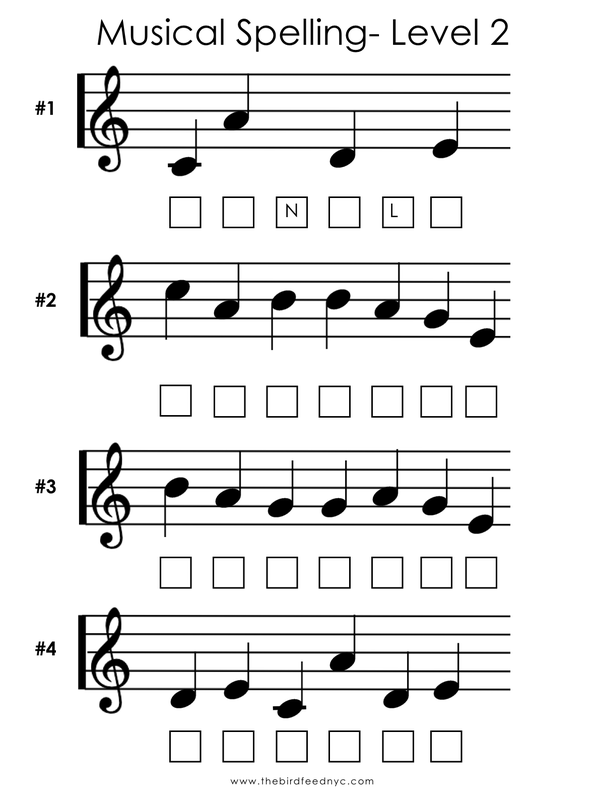 We use this sheet in our music classes at TLB Music when we teach conducting patterns to our students. 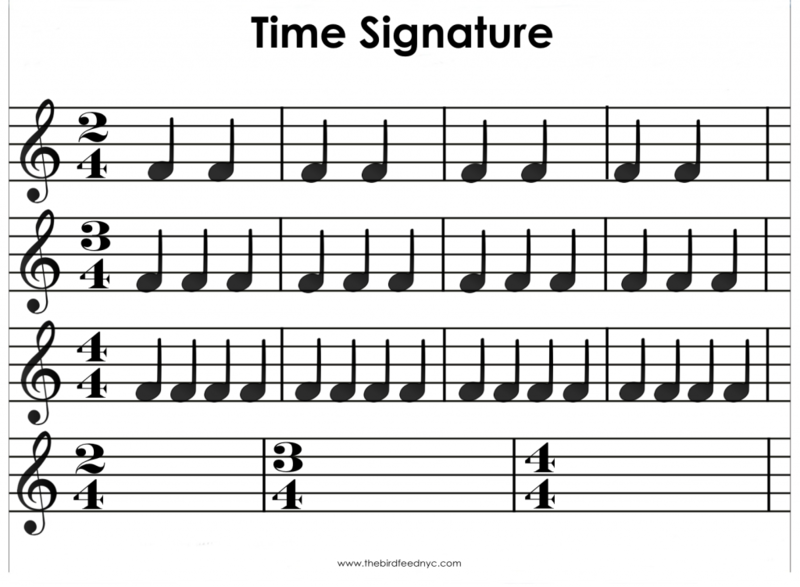 It’s a fun way to introduce time signature to children by attaching a physical motion to each signature, making it easy to remember the rhythms. You can use anything you’d like as your conducting batons when practicing with your kids! In class, we use mallets turned backwards before graduating to the big baton. Pencils, straws, or your finger will work just as well! I wrote this little song to use in our children’s music classes at TLB Music. With younger kids, we practice playing in 4/4 time, tapping drums on the first two beats of each measure, then resting for the 3rd and 4th. 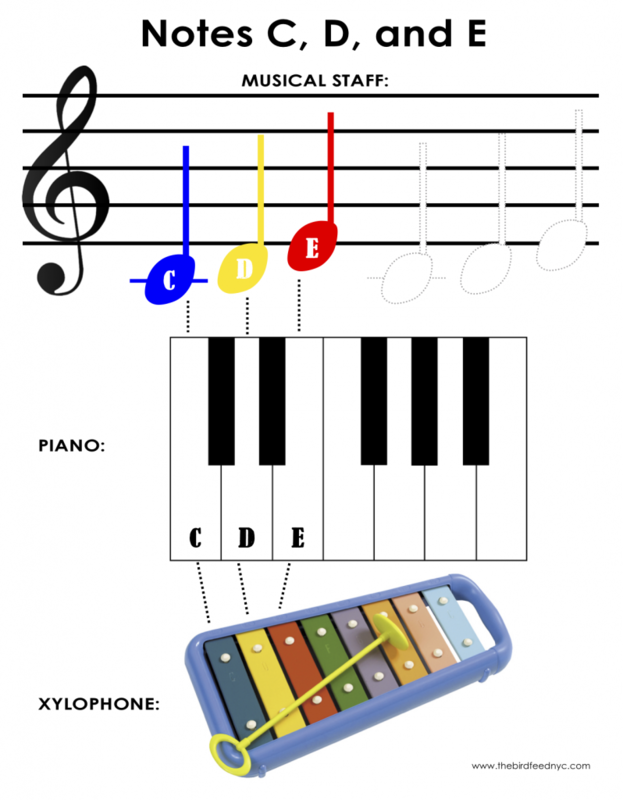 With older children, we play the melody on xylophones and keyboards. Click on the image for a downloadable PDF of the sheet! 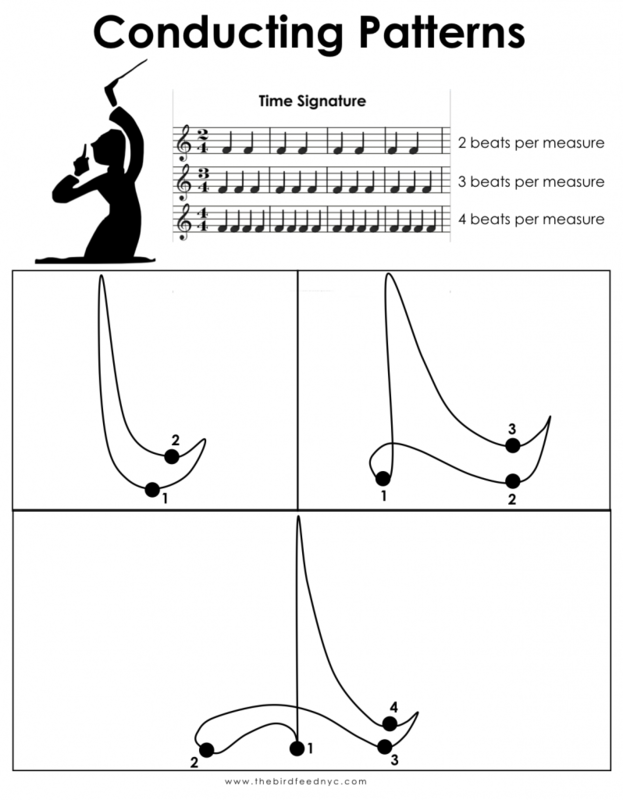 We use these time signature activity sheets in our children’s music classes at TLB Music! Click on the image to enlarge and print. Our students at TLB Music love playing the violin. 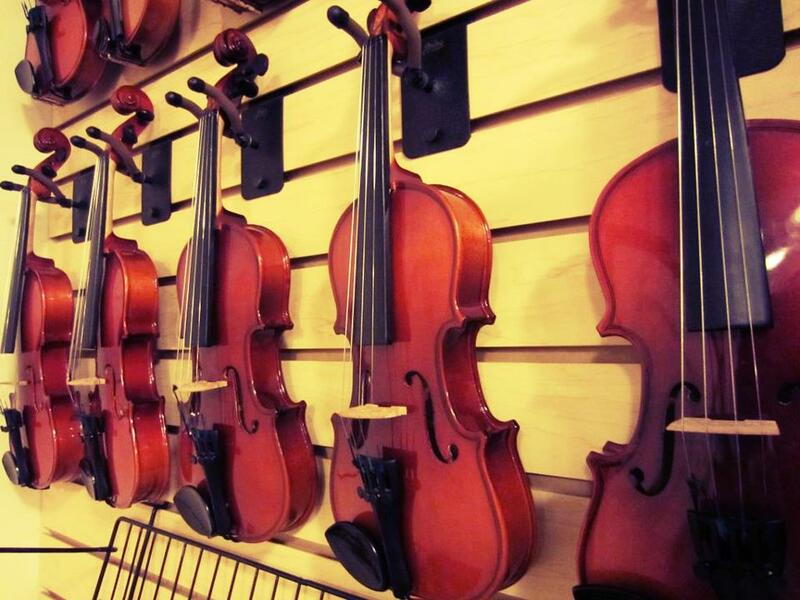 They start plucking and bowing on 1/8 size violins as early as age two or three in class! 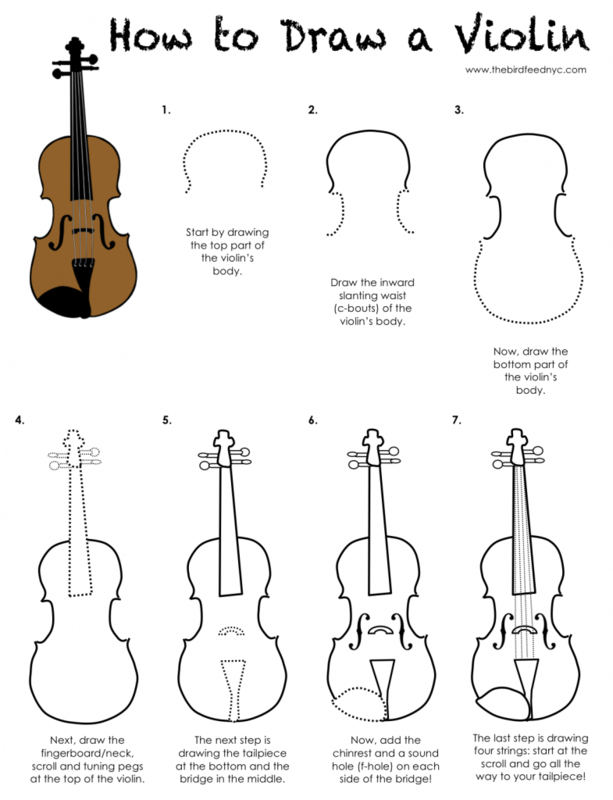 These printable sheets are perfect for learning the parts of the violin. Click through for the activity sheets!